John Deere: LT133, LT150, LT155, LTR155, STX30, STX38, LX173, LX255, GT225, SST15. 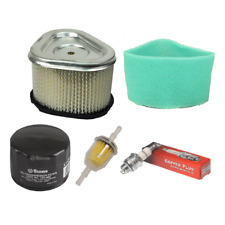 Kit Includes Fits Models (1) Air Filter replaces AM121608, GY20574, M92359. Specs: (Air Filter). Height: 2-13/16". 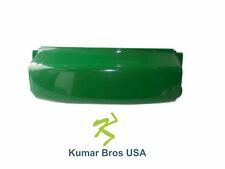 John Deere AM128998 Hood Hinge Bumper. LT133 LT150 LT155 LT160 LT166 LT170 LT180 LT190 LTR166 LTR155 LTR180. John Deere Hood Hinge Bumper. John Deere RIDING MOWER: LT133 (Belt, Deck 38"). John Deere RIDING MOWER: LT180 (Belt, Deck 38"). John Deere RIDING MOWER: LT166 (Belt, Deck 38"). John Deere RIDING MOWER: LT155 (Belt, Deck 38"). John Deere RIDING MOWER: LT150 (Belt, Deck 38"). SKU: AM128998. Style: AM128998. Part: AM128998. MPN: AM128998. For sale is a front bumper or hood hinge for a John Deere LT series tractor. This will fit the following models LT133 LT150 LT155 LT160 LT166 LT170 LT180 LT190 LTR166 LTR155 LTR180. Part Number 125-183 replacing AM137724 and AM122880. John Deere Fuel Cap. Ethanol: Not compatible with greater than 10% ethanol fuel. Z465 before serial 100,000. Z445 before serial 100,000. Z425 before serial 100,000. LT133 Lawn Tractor. LT166 Lawn Tractor. LT155 Lawn Tractor. LT150 Lawn Tractor. LT160 Lawn Tractor. IMPORTANT: This item is only compatible with the LT series John Deere lawn mowers. 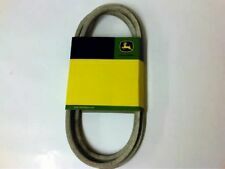 Model: LT133, LT150, LT155, LT160, LT166, LT170, LT180, L. PROTECT THE HOOD OF YOUR JOHN DEERE TRACTOR! This will only fit the LT Series models: LT133, LT150, LT155, LT160, LT166, LT170, LT180, LT190. Grill is in good condition. Grill has a burn mark on both sides of the bottom. SKU: AM131759. Style: AM131759. Part: AM131759. MPN: AM131759. 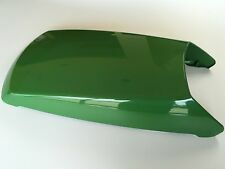 You are looking at a new lower hood for John Deere tractors. It fits the following models: LT133, LT150, LT155, LTR155, LT160, LT166, LTR166, LT170, LT180, LTR180, LT190. 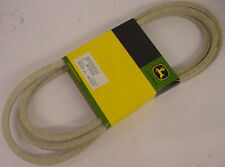 NIB JOHN DEERE TRACTION DRIVE BELT M126012 LT133 ENGINE TO TRANSMISSION. 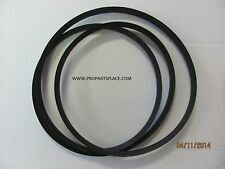 THIS IS A TRACTION DRIVE BELT USED ON THE FOLLOWING JOHN DEERE MOWERS. We reserve the right to cancel the sale of any item to anyone who is not the end user of the product. John Deere M127926. John Deere LT133 and LT155, Serial No. 125001 and lower; and LT166, Serial No. 095001 and lower. Belt Application: Timing. Replaces OEM. Belt Type: Synchronous. Fits Model: LT133 LT155 LT166 LT150 LT160 LT170 LT180 LT190. This front Bumper acts as the hood hinge. You are buying (1) Maintenance Kit for John Deere LT133 LT150 LT155 LX173 LX177 225. John Deere: LT133, LT155, LTR155 and LX173. Cub Cadet: CC-12-050-08, KH-12-050-01-S1. John Deere: AM125424,GY20577, KH1205008. JOHN DEERE AM133627 Fuel Pump kit LT 133 150 155 160 LX 173 255 266 L110 SST15. This is a fuel pump kit that goes on engine on the following John Deere lawn mowers. Our office is closed on weekends. John Deere AM131759 Lower Hood LT 133 150 155 160 166 170 180 190 LTR NIB . We reserve the right to cancel the sale of any item to anyone who is not the end user of the product. We will make every reasonable effort to correct any problems with your order. This is a tranmission pulley used in the drive system on top of the tranmission for many JOHN DEERE mowers. Pease note: This pulley will only work on gear driven transmissions, if you have a hydrostatic transmission this will not work. New in Box, Muffler that fits John Deere LT133, LT150, LT155, AND LTR155 with gasket Part number is AM122848 and M92365 gasket.This is an original OEM part. Model: LT133, LT150, LT155, LTR155. We are a John Deere, Honda, Toro, MTD, Sears Craftsman, Echo, Oregon, Lawnboy, Briggs & Stratton, and Kohler dealer. REPLACES: JOHN DEERE M126536. John Deere RIDING MOWER: LT133 (Belt, Deck 38"). John Deere RIDING MOWER: LT180 (Belt, Deck 38"). John Deere RIDING MOWER: LT166 (Belt, Deck 38"). John Deere RIDING MOWER: LT155 (Belt, Deck 38"). For sale here I have a front grille and headlight assembly from a John Deere model LT160 lawn tractor, fits LT133 LT155 LT150 LT160 LT166 LT180 LT190 also. Good working condition.Hood mounts up properly. Hood also has a chip missing near the bumper hinge on the lower LH front. Paint has a nice shine. Decals are intact and underhood foam ring is good. JOHN DEERE: M126536, M158692. JOHN DEERE: LT133, LT150, LT155, LT166. Belt Application: Deck. Belt Type: Covered. Why buy from EPR Distribution?. California Prop 65 - This product can expose you to certain chemicals, which are known to the State of California to cause cancer or birth defects or other reproductive harm. JOHN DEERE Air Filter Kit GY20574 GT225 LX173 LT 133 LTR STX 30 38 46. This is an air filter kit that goes on the following John Deere lawn mowers. We reserve the right to cancel the sale of any item to anyone who is not the end user of the product. JOHN DEERE: LT133, LT150, LT155, LT166. CUB CADET: 954-04137A. CUB CADET: GT2550, GT2554. JOHN DEERE: M126536, M158692. John Deere: Tricycler Mulch Kit; Requires 2 for 38" deck. John Deere: AM141040, M112991, M154158. Part Number AM132808 Switch and GY20680 Key. LT133 Serial Number Below 125001. LT166 Serial Number Below 095001. LT155 Serial Number Below 125002. John Deere Ignition Switch and Key Combo. Genuine John Deere Part. Description Carburetor for JOHN Deere AM125355 LT133 LT150 LT155 LTR155 GS30 Carb Carburetor Replacement Briggs & Stratton Part 90 days Warranty! Fast Free Shipping From California Please check pictures for more details Compatible For JOHN Deere AM125355 LT133 LT150 LT155 LTR155 GS30 Carb Key Features Shipping from the USA,we offer Fast Free Shipping From California Package as default. Good quality, good operation. Comes in a sealed package, ready to install. Installation instructions not included, Tool not included. Note. LT133, LT150, LT155, LT160, LT166, LT170, LT180 and LT190. Will also fit LTR166 and LTR180. John Deere Lawn Tractor. Everything you need to install the bumper on your tractor. NO expense was spared when these were designed! SKU: LG191. Style: LG191. Part: LG191. MPN: LG191. Part Number: LG191. John Deere PArt number LG191.It will fit the following models LT133 LT150 LT155 LTR155 LX173 LX177 LX255 SST15 GT225 SERIAL 000001-060000 AND Scotts S1642. The part number is AM122870. S14.542GS, S1642HS, 17.542HS 1742HS G100 G110 L100 L105 L107 L108 L110 L111 L118 L120 L130 102 105 115 125 135 LA100 LA105 LA110 LA115 LA125 LA120 LA145 LA135 LA130L17.542 L1742 L2048 L2548 LT133 LT150 LT155 LT160 LT166 LT170 LT180 LT190 SST15 SST16 and SST18 tractors. 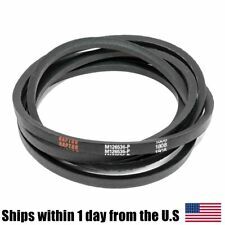 NIB JOHN DEERE MOWER DRIVE BELT M126536 38" 42" LT133 LT150 LT160 LT166 LT180. 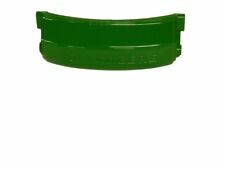 This is a mower deck belt used on the following John Deere Lawn mowers. WITH 38" DECKS. WITH 42" DECKS. We will make every reasonable effort to correct any problems with your order. John Deere LT133 LT150 LT155 LTR155 GS30 Tractor. Deck spring is in good condition. No P.O. Boxes. SKU: M125828. Style: M125828. Part: M125828. MPN: M125828. Part Number: M125828. The part number is M125828. This is an original OEM part. Model: LT133 LT150 LT155 LTR155 LT160 LT180 LT190 LX288. Good, used John Deere LT133 LT155 LT166 Belt Guide. John Deere RIDING MOWER: LTR180. John Deere RIDING MOWER: LTR155. John Deere RIDING MOWER: LTR166. John Deere RIDING MOWER: LT133. John Deere RIDING MOWER: LT166. John Deere RIDING MOWER: LT155. This seat does have the provision for OPERATOR PRESENCE SWITCH aka safety switch. JOHN DEERE. 1x Ignition Coil. We will try our best to reduce the risk of the custom duties. Part Number AM128998. John Deere Front Bumper. 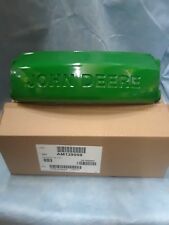 Fits John Deere Models Genuine OEM John Deere. John Deere, Stihl, Scag, Boss, SnowEx, Ariens, Billy Goat, Giant Vac and More! New In Box. Used and item sold "as is" do not qualify. John Deere AM121608, AM123553, GY20574, M92359. JOHN DEERE Lawn tractors LT133, LT155, LTR155 and LX173. Air & Pre Filter. 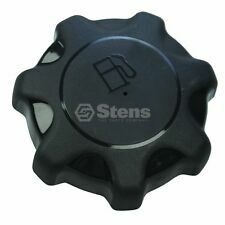 Stens 100-941. KOHLER CV11-CV16; for 11 thru 16 HP engines. IGNITION Coil for JOHN DEERE KOHLER ENGINES M133019 LX L LT SABRE STX US. JOHN DEERE. What is included Color: Black. John Deere LT 155 and LT 166 LT133 Steering Parts Lot.